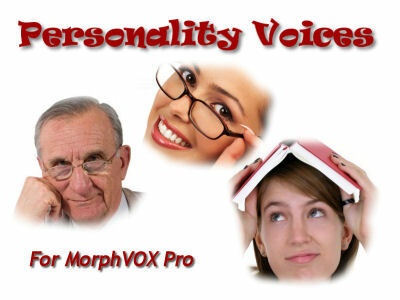 Screaming Bee LLC announces the release of a new product, Personality Voices, an audio add-on for MorphVOX Pro Voice Changer. This voice pack lets you sound like old and wise Albert, squeaky Mary Jane, goofy Clarence and more. These voices are perfect for online games, instant messaging and voice-overs. For more information about Personality Voices click here.